The New Year makes everyone feel just that, new! People make New Year’s resolutions for all kinds of things – health, diet, reading, and volunteerism – so why not make some for your home? Your home is your biggest asset so give it the attention it deserves this 2017. Here are a few manageable New Year’s resolutions for you and your home! Hanging a coat over the chair, leaving shoes and backpacks by the door, spreading the mail across the countertop – these seemingly insignificant actions quickly accumulate to create a cluttered home. Instead of setting things down and leaving them around the house, try immediately putting stuff away. By making a conscious effort to hang items up or put them in the proper place this will quickly become a habit and your house will feel much less cluttered. You would be surprised by how much clean windows affect the overall feel and appearance of a home. Dirty, streaked, and fingerprinted windows are not inconspicuous, in fact they are quite the opposite. By keeping your windows cleaned you will let in more light, have a clearer view to the outside, and maintain the integrity of the windows themselves for much longer! Make a conscious habit of getting your windows professionally cleaned several times a year with Prime Time Window Cleaning. 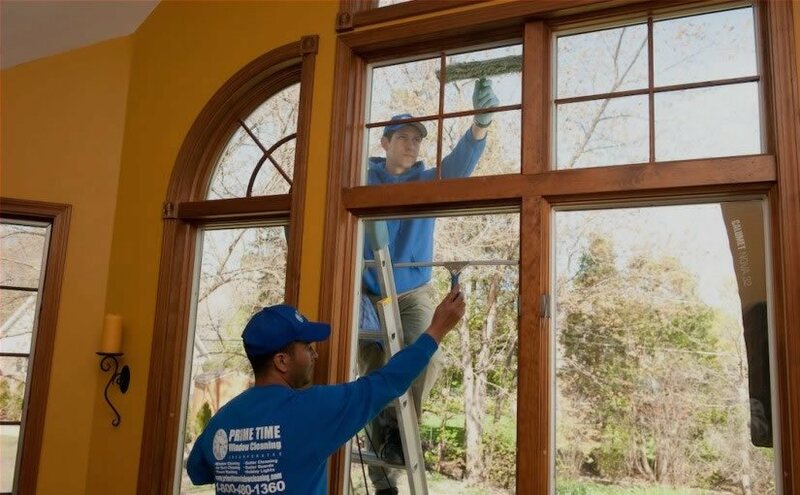 Our trained professionals will clean all the hard to reach windows in your home with environmentally safe products and at a competitive price! Make this New Year’s resolution and call Prime Time Window Cleaning to set up your first appointment. Nothing makes your home look newer than having it professionally pressure washed. Overtime dirt, grime, dust, and debris accumulate on various parts of your home. This buildup is tricky to remove if done on your own. 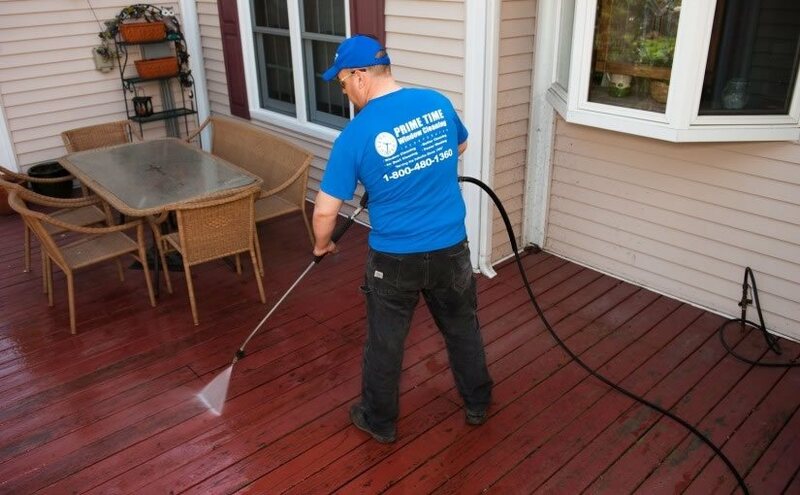 Hiring a professional to come and pressure wash your home ensures that you do not cause any damage to your home’s surface or surrounding area. Giving your home a proper pressure wash cleaning – even just once a year – can make all the difference in making it look new again! Call Prime Time Window Cleaning to schedule your pressure washing appointment! It’s never too late to start treating your home like the special place that it is. Keeping your home clean by adopting these New Year’s resolutions can do wonders for its appearance, integrity, and comfort. Call Prime Time Window Cleaning to make your appointment for the New Year!